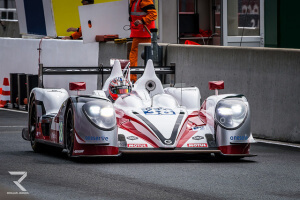 This is my fifth time racing at Le Mans and it’s an experience like no other. You are part of history. I enjoy the whole week, from build-up to race day – you get to be involved in one of the biggest sporting events in the world. It feels more special now because I feel at home with it, I can enjoy the feeling of belonging. The first time you take part it’s incredibly intimidating, your stomach is churning. It’s just something to get through. Now I look forward to the whole week, to the race and knowing that we can do well. 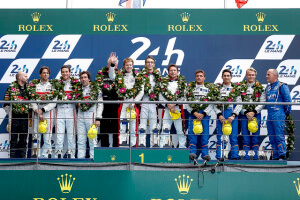 We won the LMP2 24-hour race last year, which was an incredible feeling, and this season we’ve had three podium finishes in three races. Third is now a bad result for us, which shows how far we have come. The week leading up to the race takes some getting used to. Physically, it’s fine. You have trained all year for it so you are ready. Mentally, it’s more of a challenge; at the beginning of the week the days can drag so you need to fill in your day otherwise you get bored and lethargic. On Wednesday, we start at 4pm with four hours of free practice, then a couple of hours break, then qualifying until midnight. Getting a clear lap is the key to a fast time when there are 50-plus cars on the track. Then on Wednesday and Thursday you don’t get to bed until 1am or 1.30am, so you need to adjust your sleeping patterns. Come the weekend, you know you won’t be getting any sleep. On Friday you have the drivers’ parade at 4.30pm. There are 100,000 people on the streets, it’s a big fight just to get 160 drivers in position. It takes 3 hours to get ready for a one-hour parade. Saturday is race day, the build-up starts at noon and the race gets under way at 3pm. The entire race is mapped out from minute one to hour 24: who’s driving each stint; how many scheduled stops; when we need to put the oil in. But a million things happen during the race so we need to adapt. I don’t think any team has ever run perfectly. You need the guts to make changes along the way. Tim Holloway, our race engineer, has the final say. He was an engineer with Eddie Jordan in F1, he designed the car, so he’s got bags of experience. Le Mans is not a tricky track to drive because you have long straights. Imola is far more difficult because you never get any respite. At Le Mans it’s a long lap, 3minutes 40 seconds, 3 minutes 45, depending on traffic. Because the straights are so long you don’t get many opportunities to practise the corners. There are some challenging corners where there’s no room for error, but it’s the changing conditions, rather than the track itself, that make it different from other races. You get a change of track from race-track to public road. There”ll be rain at some stage. You can get heavy dew in the morning. The changing conditions over 24 hours makes it difficult. But it’s pretty special when you’re driving through the woods at 200mph at night or when you see the Ferris wheel and the lights of the fairground. The sheer volume of people is incredible – we’ll get 280,000 people at the race. With me on the team are Oliver Turvey, who is driving Le Mans for the third time, and Mitch Evans, who’s making his debut here. It’s 3,110km of driving over 24 hours. You do more driving in a single race than in the rest of the season put together. eat, take a shower and then lie down for four hours but you never really sleep. You’ve got to be up again before you know it. The adrenalin pulls you through – the following Monday it hits you, I’ve even fallen asleep halfway through eating. Can we win again? You never feel you are going to win because it’s such a big thing. We achieved something massive last year. It gives you a lot of confidence. Having won means you believe you can do it rather than just hoping. When you relax you drive better. 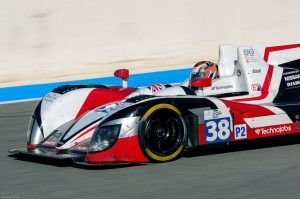 We were fifth fastest on the test day at Le Mans last month, but no one pays too much attention to that. On test day, it’s mainly a question of luck – if you happen to be on the track at the right time with a clear track you get a good time. Everything we’ve done so far this season counts for nothing here. They are two completely different things. You have your season and you have Le Mans. Nothing you do before makes any difference, nothing you do afterwards make any difference. If you had the chance of winning Le Mans or winning the championship you would choose Le Mans in a heartbeat.